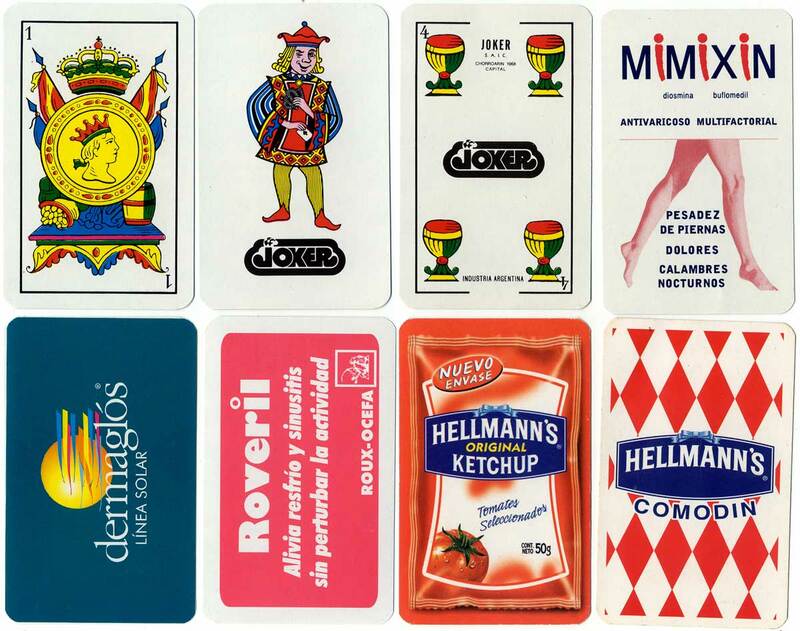 Advertising & publicity playing cards by Joker S.A.
Advertising and publicity playing cards manufactured by JOKER S.A.I.C., Chorroarín 1068, Buenos Aires, c.1980-present. Joker S.A.I.C. produce a wide range including children's card games, tarot cards and advertising decks, some examples of which are shown on this page, alongside their standard Spanish-suited and Anglo-American playing cards. 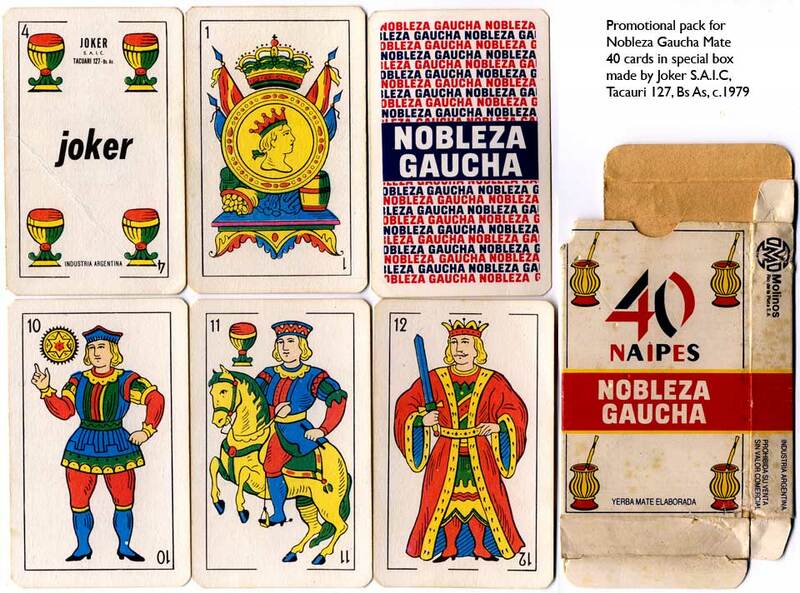 Above: promotional deck for Nobleza Gaucha Mate, showing the word 'joker' on the four of cups from before the new logo was designed. The address is given as Tacauri 127, which gives an estimated date of c.1979. 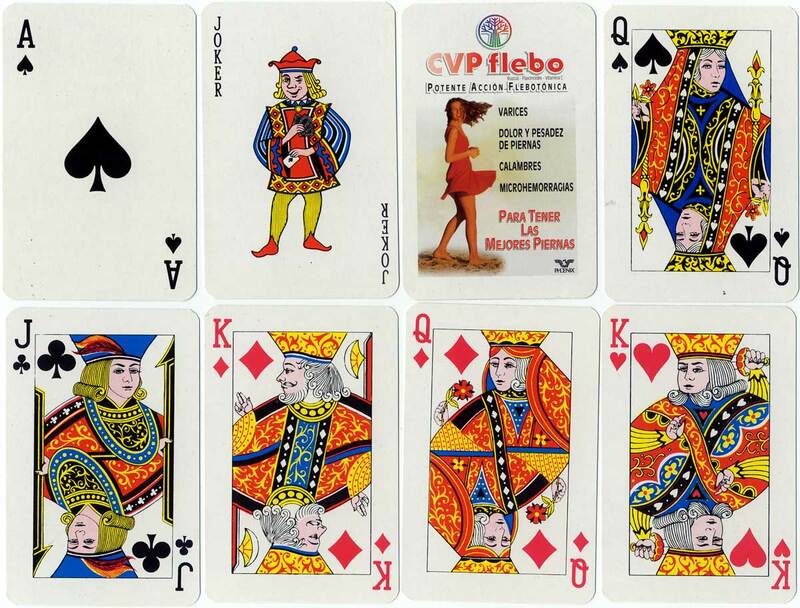 At this time the cards were probably still being manufactured by Cía Fabril Financiera S.A. 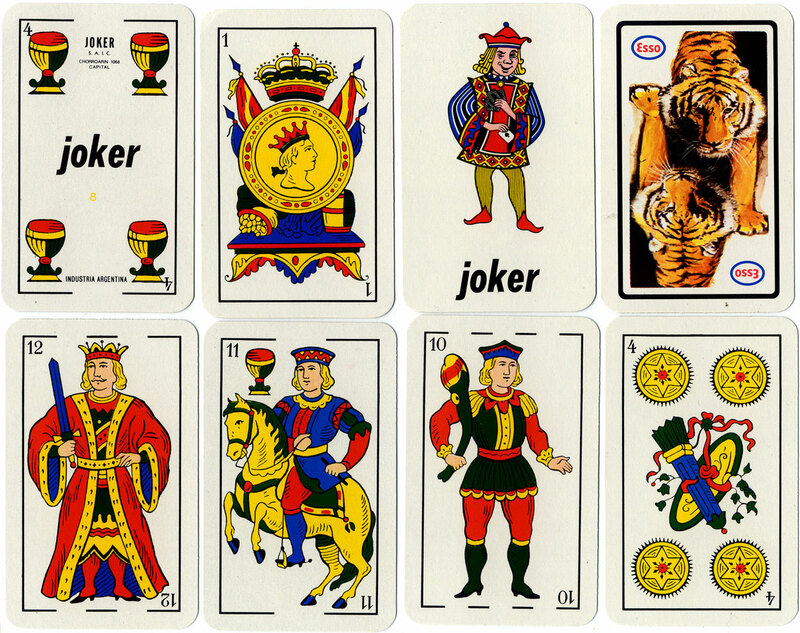 Above: promotional deck for Esso petroleum, showing the word 'joker' on the four of cups and joker from before the new logo was designed, as shown in the examples below. However, the address is already given as Chorroarín 1068, which gives an estimated date of c.1980-2. 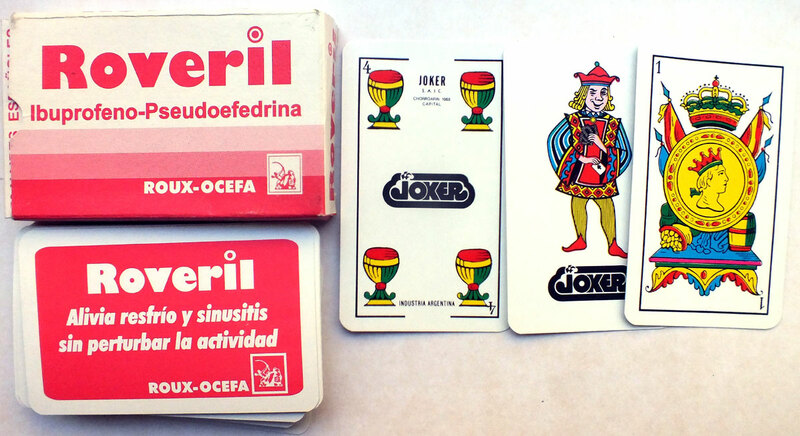 In standard Spanish-suited packs the 'Joker' logo appears on the fours of cups and the jokers. 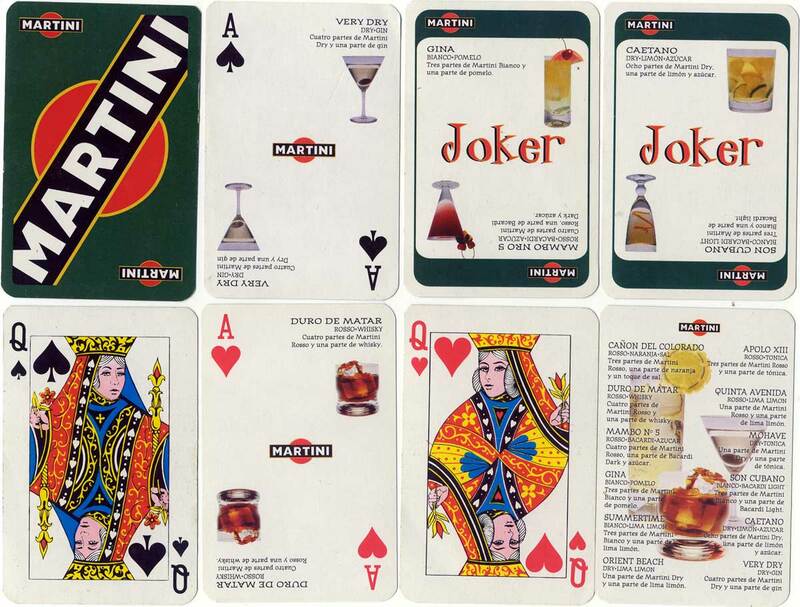 Above: advertising cards produced by Joker S.A. from the late-1980s, 90s and more recently. 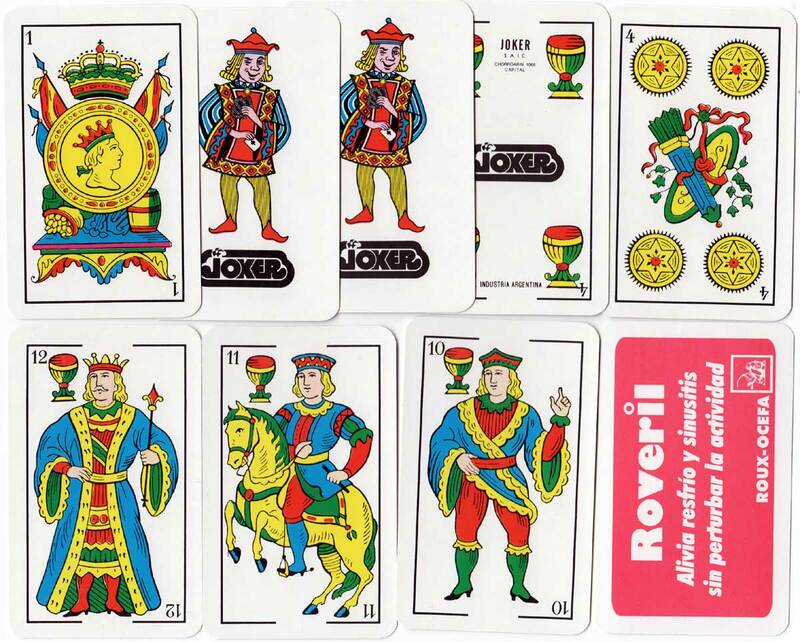 Standard French-suited packs have elaborately patterned court card designs, which were inherited from Cía Fabril Financiera. 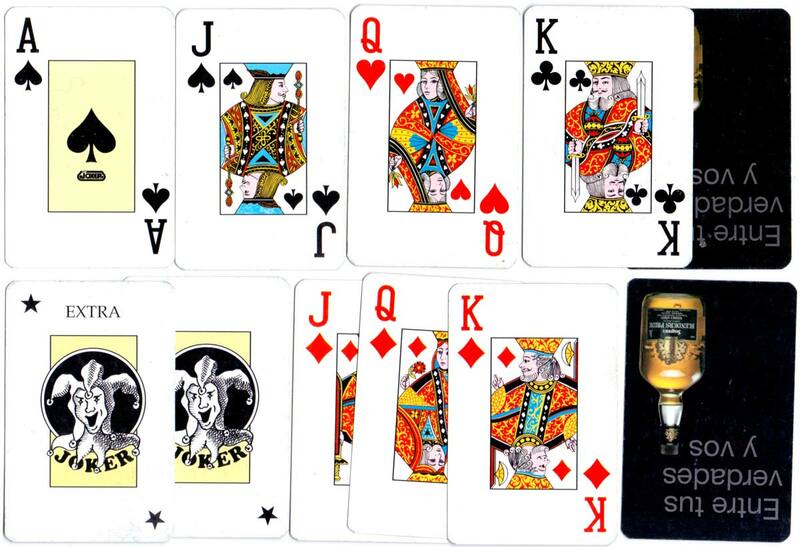 Above: promotional deck for Blenders Whisky with jumbo indices manufactured by Joker, S.A., c.2006. 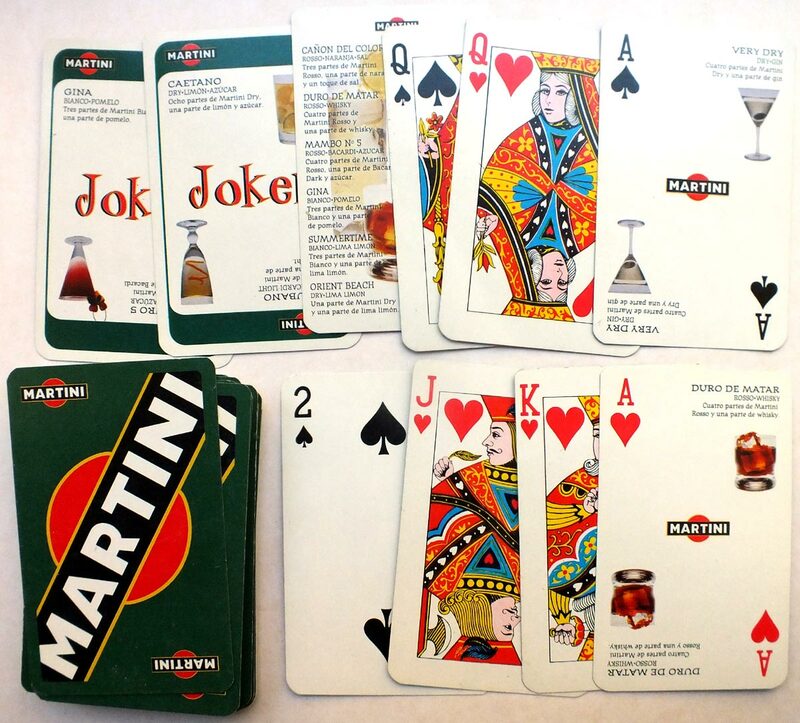 Above: standard English courts for Martini with cocktail recipes on the aces on a free publicity deck published by Meyer Action Marketing and manufactured by Joker, S.A., c.2006.